A couple weeks ago, my friend Danielle embarked on an Ayurvedic cleanse. Browsing my Instagram feed, I’d see photos of her daily meals throughout the five day program. 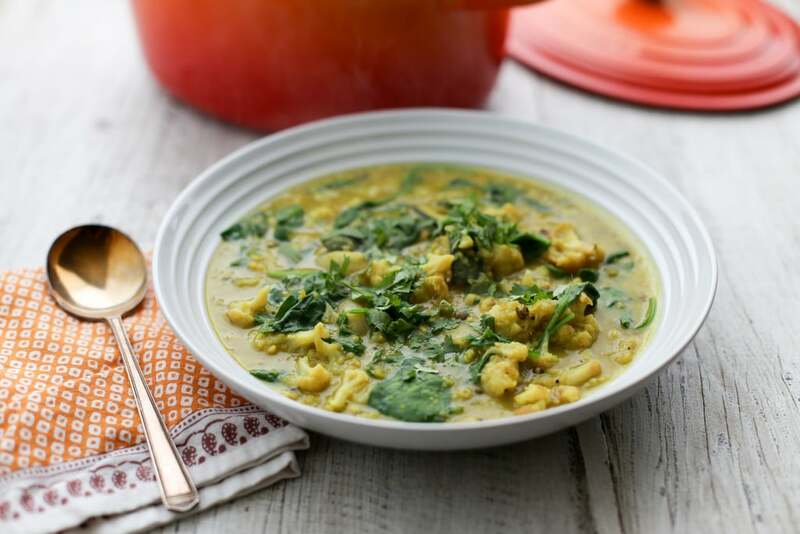 Each day brought a new bowl of kitchari, the mono-diet favored by yogis looking to detox and reinvigorate. 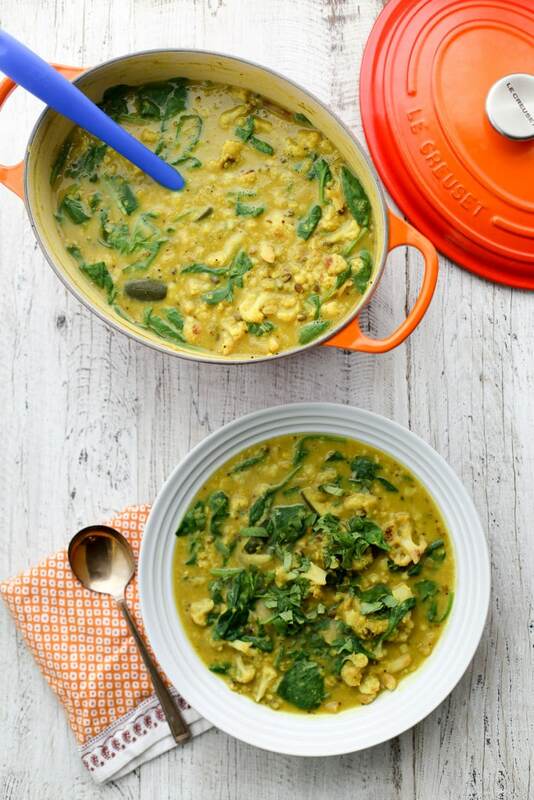 You can read all about Danielle’s kitchari cleanse on her blog, Beyond the Plate. 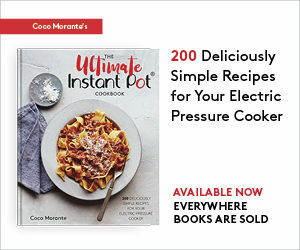 There, she shares a recipe adapted from The Everyday Ayurveda Cookbook, her favorite resource for Ayurveda-inspired recipes. 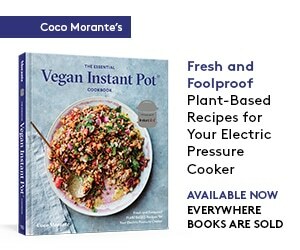 I’ve had a chance to flip through the cookbook, and the seasonally-organized recipes look wonderful, cleanse or no. As for me, I’m not quite up for five straight days of kitchari-only meals. I do like the idea of having it once in a while, though! It’s an easy, nourishing, one-pot meal, perfect for the day after a little over-indulgence. 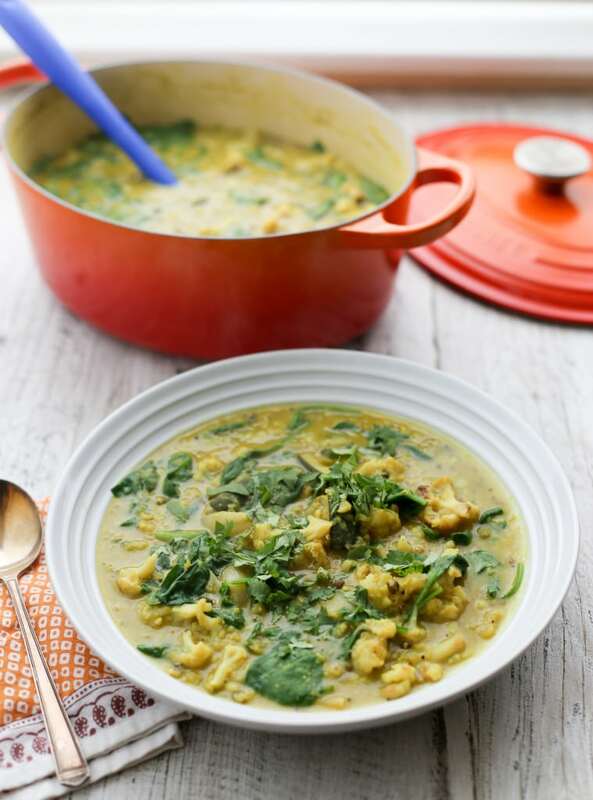 Grains, legumes, and vegetables are simmered with ghee and a blend of Indian spices to form a thick, savory stew. With a sprinkle of cilantro on top, it’s comforting without being boring or bland. Of course, I couldn’t leave well enough alone and use a traditional recipe. After all, that would’ve required going out to buy bags of yellow mung dal and basmati rice, when I already had plenty of other legumes and grains on hand. I also wanted to use up some leftover roasted vegetables from last night’s dinner, rather than chop up more vegetables for the kitchari. Into the pot went some leftover roasted cauliflower and zucchini, along with a mix of lentils, mung beans, and barley that’d been tucked away in my pantry. The kitchari turned out a bit soupier than it would have with basmati rice, so I cooked it down for a few more minutes to let it thicken it up nicely. In the recipe notes, I’ve included instructions for a more traditional version of the stew. As far as the vegetables go, use whatever kind you’ve got on hand. Beets, sweet potatoes, carrots, parsnips, and fennel would all be great. You can also substitute any greens for the spinach, cooking hardier greens a few minutes longer or adding them in with the chopped vegetables halfway through cooking. A great way to use up leftover roasted vegetables. This one-pot meal is perfect for days when you want something simple, nourishing, and easy on the tummy. Soak the lentils and grains overnight. In a medium-sized bowl, combine the lentils and grains with enough water to cover by two inches. Leave them to soak overnight, or at least two hours if you are in a hurry. Drain and set aside. Sauté the spices, lentils, and grains. In a medium (3 to 4-quart) saucepan or soup pot, heat the ghee over medium heat. When the ghee is fully melted, add the spice blend and sauté for about two minutes, until the spices are aromatic and lightly toasted. Add the soaked lentil and grain blend and stir, sautéing for another two minutes. Simmer the kitchari. Add the water and stir, using a wooden spoon to scrape up any bits that are stuck to the bottom of the pot. Bring the mixture up to a simmer, then turn the heat down to low. Cover the pot and let simmer for 20 minutes. Add the vegetables. Stir in the vegetables. Let the kitchari simmer, uncovered, until it has thickened to a stew consistency, about 20 more minutes. Stir in the spinach and salt to taste. Finally, add the baby spinach, stirring it into the stew just until the leaves have wilted, about one more minute. Taste the kitchari, adding salt if desired. Serve the kitchari. Ladle the kitchari into serving bowls. Garnish with a generous sprinkle of cilantro and serve. If you do not have leftover roasted vegetables, use whatever fresh vegetables you have on hand, chopped into bite-sized pieces. 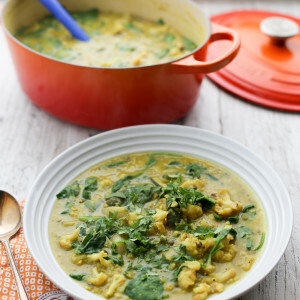 For a traditional kitchari, replace the lentil and grain blend with 1 cup of yellow mung dal (a.k.a. split mung beans) and 1/2 cup basmati rice.